Lunch boxes are those tiny little bearers of your mother's or wife's love in the form of freshly cooked food, high in nutritional value. It is not just a small box that contains two crisp rotis and your favourite sabji, but it is the box wherein your mother or wife has given a quick fry to her affection, stirred her love, baked her warmth and sprinkled her care for you. 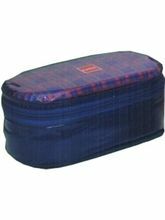 Only those who have parted from their family and had to eat the canteen food can understand the value that lunch box holds in one's life. If you are in search of lunch box online, that revive your memories of yesteryears or something that helps you pack the food for your family members conveniently, then indulge in lunch box online shopping on Infibeam. Whether you are looking for a kids lunch box or something that suits your executive position, we have everything in our store carefully sorted for you. We know, it is actually a task to make your kid eat the home made food, so why not get a snazzy and funky lunch box that will tempt him/her to open the box and fill his tummy. We have a Jungle Magic Combo of Lunch Box Pandy in attractive designs and vibrant colours that your kid will love to carry to the school everyday. 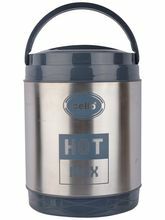 Even if you are searching for stainless steel lunch box or insulated lunch box, then too we have a wide variety of everything at pocket-friendly prices! Along with the delicious and healthy food, a box wherein your food is meticulously packed also plays an important role to ignite your taste buds and satiate your hunger. Why to drag yourself to a shop, when you can easily do lunch box online shopping on Infibeam. 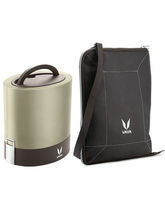 Wide variety of plastic lunch box can be found in our store. Also, if you are in search of trendy lunch bags online, then too our store is the one stop destination where you can find everything as per your taste and preferences. With Infibeam, online shopping is easy, fun and secured too. We have a secured payment gateway where you can either pay through cash or debit/credit card. Along with quick delivery of products, we also have easy exchange and return policy. 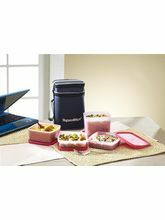 So, get a dabba (lunch box) of your choice and satisfy your appetite in style!